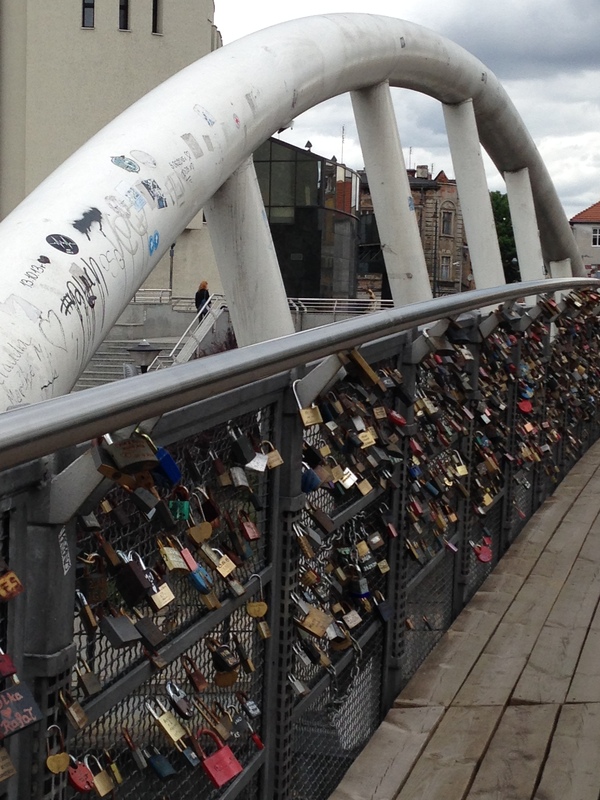 which is reported to have over 700,000 locks on it— padlocks engraved with a couple’s initials. 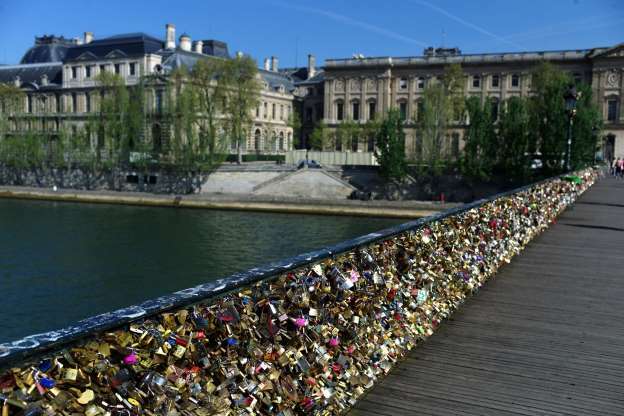 However, all the locks on this Paris bridge were removed in June 2015. Or for everyone back home –have you seen this footbridge that crosses over The Hague in Norfolk….it only has about 350 locks according to a Virginian-Pilot newspaper article almost a year ago. Obviously people in Norfolk don’t buy into the “Virginia is for Lovers” as well as those people visiting or living in Paris, the “City of Love”. 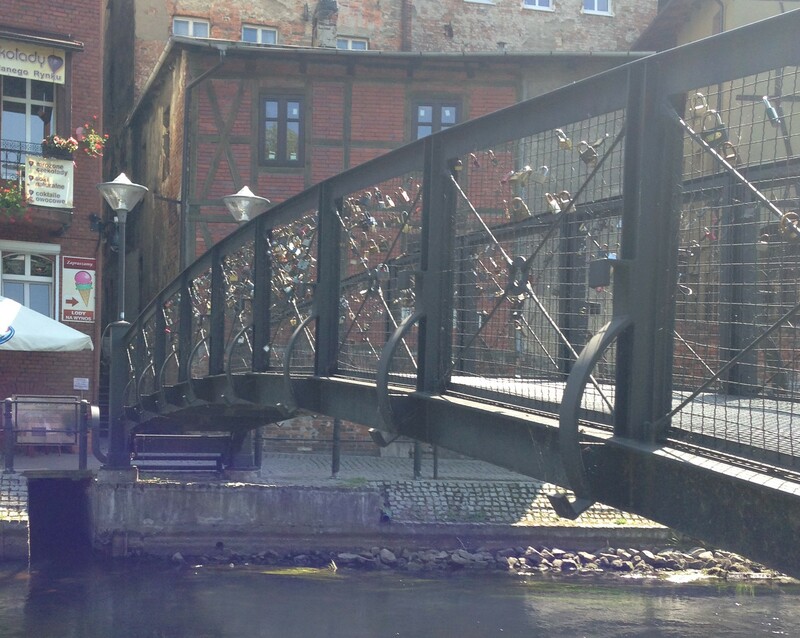 Putting a padlock on a bridge is like the old tradition of carving your initials into a tree, making a declaration of undying and enduring love. In this case it’s by engraving a lock with names (or initials) and the date, attaching the lock to a bridge and then throwing the key over the side thus ensuring that a love that will last forever. 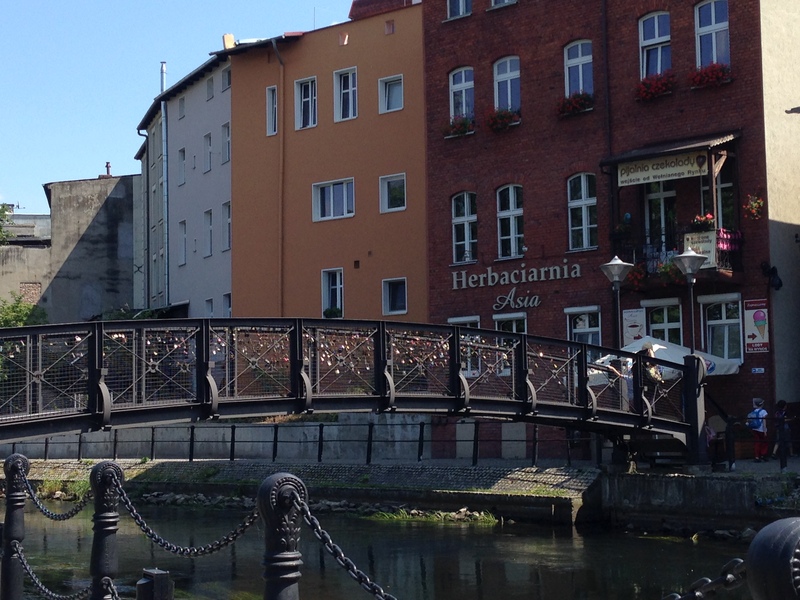 Bydgoszcz happens to have two of these “love lock” bridges that I’ve seen. Both are pedestrian bridges that connect to Mill Island. This one is on the canal side. Not too many locks on this one. 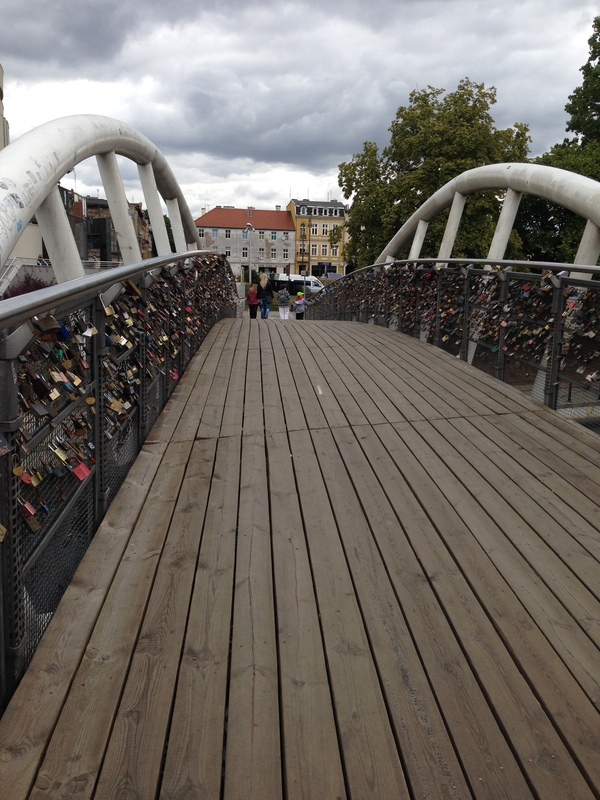 The other bridge is near the Opera Nova and has a lot more foot traffic ….and quite a few more locks. Locks come in all shapes and sizes too. 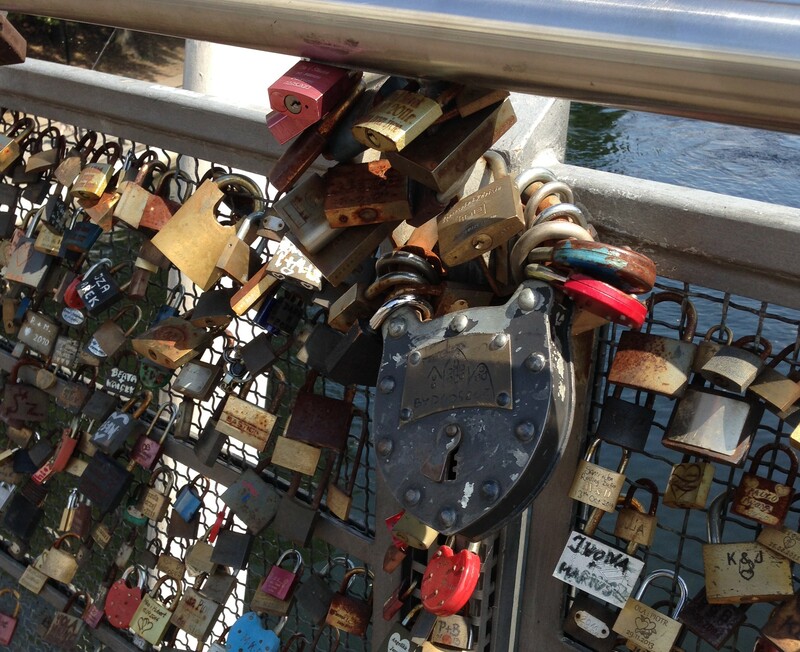 Do you love someone more if you have a bigger lock? 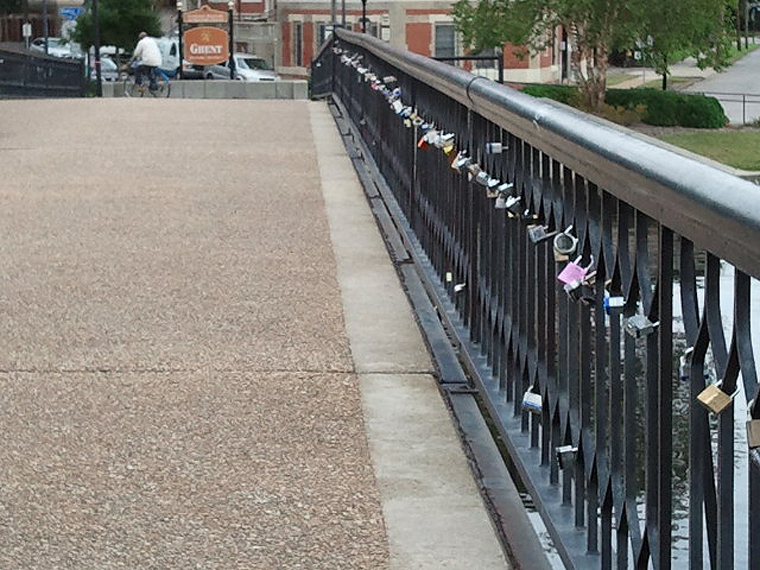 And what do you do if you don’t have a lock handy when you’re taking that romantic moonlight stroll by the river? Well, adding a little “love graffiti” on the bridge works just as well….as least until they paint over it. So much for that “undying love”.